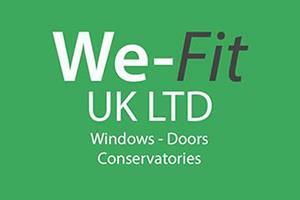 WE-FIT (UK) Ltd - Fascia/Soffits/Guttering, Windows/Doors/Conservatories based in Hampton-in-Arden, West Midlands. We-Fit UK Limited is a family run business who are proud to provide the local community with the highest quality home improvement service. When you’re investing hard earned money in new windows and doors, you deserve to receive a quality product, and friendly, honest service. We have a showroom in Hampton in Arden , where you are welcome to have a look around at the quality of products we offer. You will also have the opportunity to meet our friendly staff who will take you through the products and services we offer. Solihull, Balsall Common, Hampton in arden, Marston Green, Birmingham, All B postcodes.